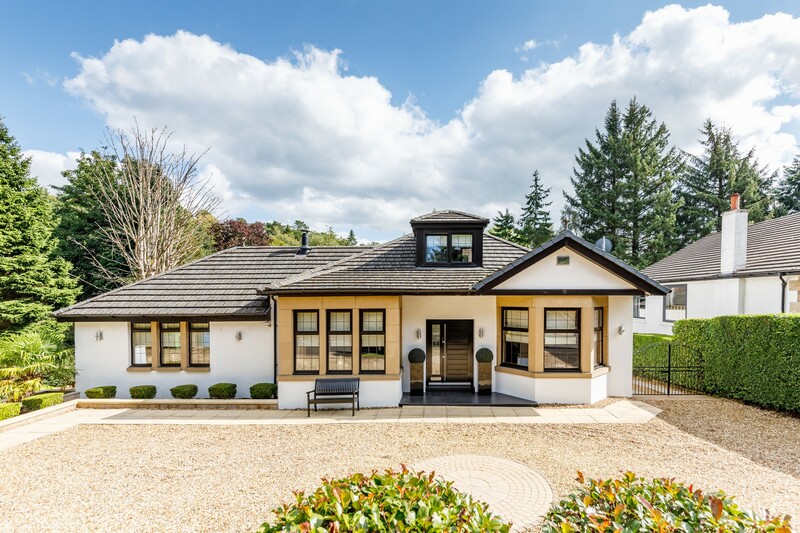 A truly impressive and much admired traditional detached split level villa, which has been thoughtfully re-furbished, re-designed, extended and lovingly maintained by the present owners over the past 18 years. 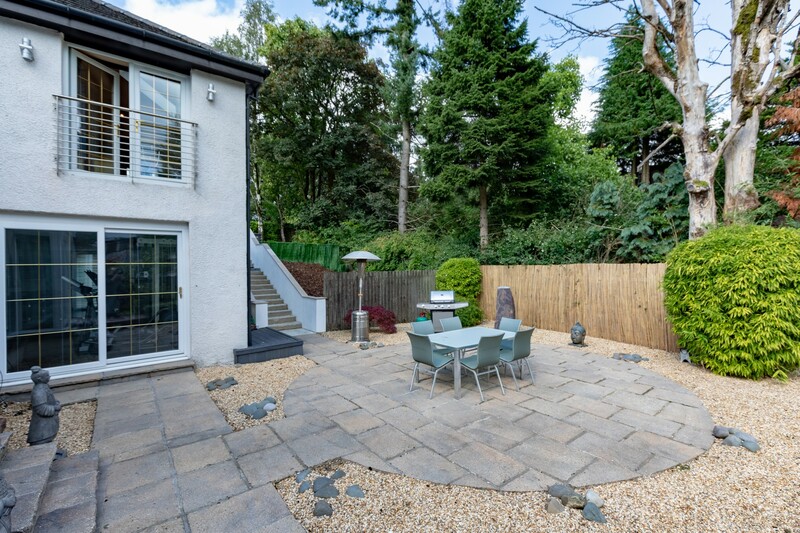 The house is set within generous landscaped gardens and is in close proximity to Whitecraigs Tennis and Golf Clubs, and only a short walk to Whitecraigs Train Station. 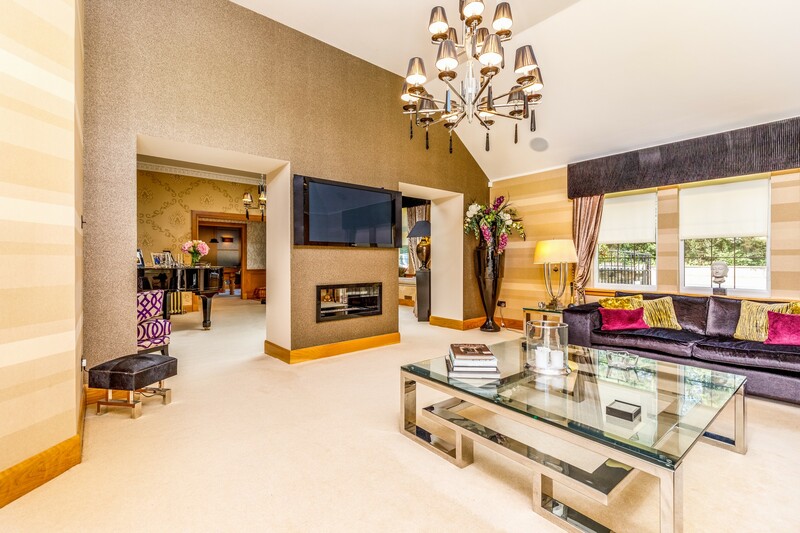 Internally, the house offers a flexible and versatile accommodation formed over a three-storey layout extending to nearly 5000 Sqft (418 Sqm) and blends both traditional characteristics and contemporary modern finishes, to a high exacting standard. 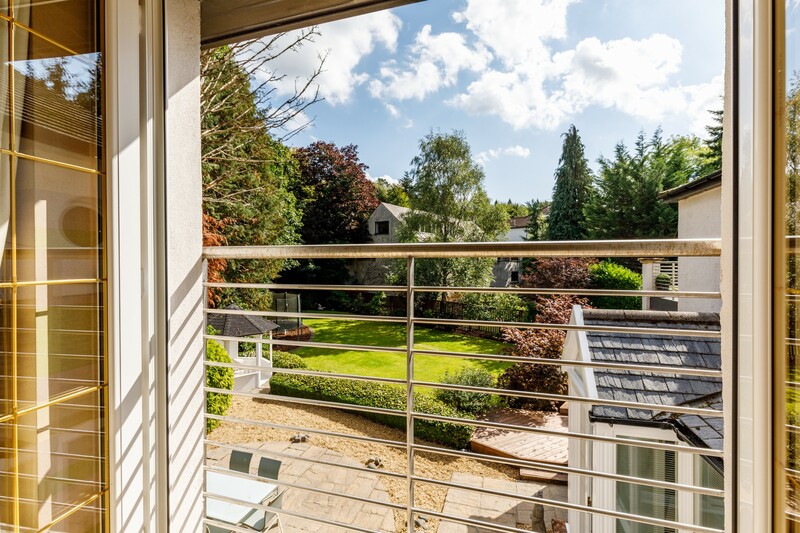 The front elevation of the property belies the spacious and versatile layout internally and has been refurbished in an attractive contemporary manner. 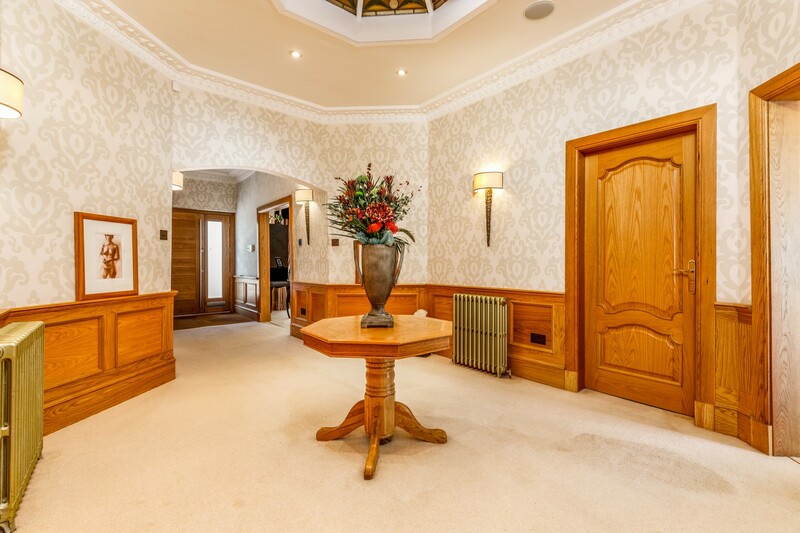 Ground Floor: Spacious and welcoming octagonal reception hallway with oak wood panelling, decorative coving and stained-glass cupola. 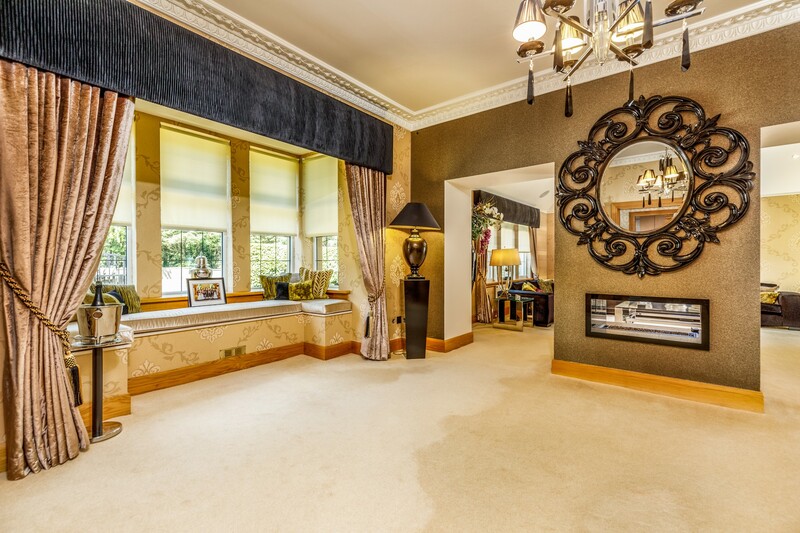 Generous bay window drawing room with dual aspects fireplace, leading to the sitting room with a Juliet balcony overlooking the rear gardens. 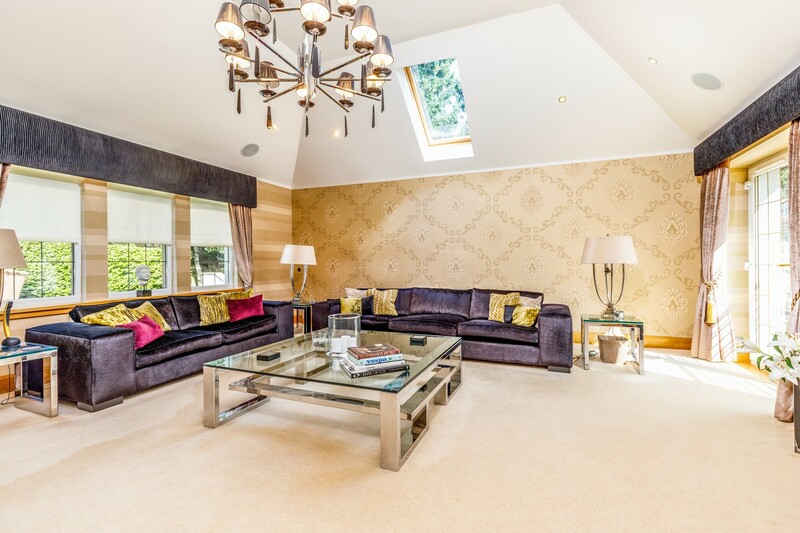 Bright and spacious family room/games room. 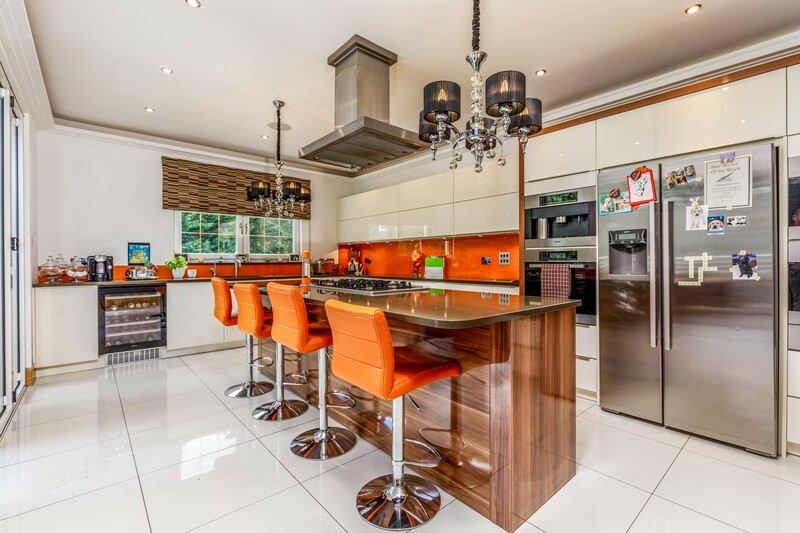 Bright and well-appointed combined dining room and kitchen. 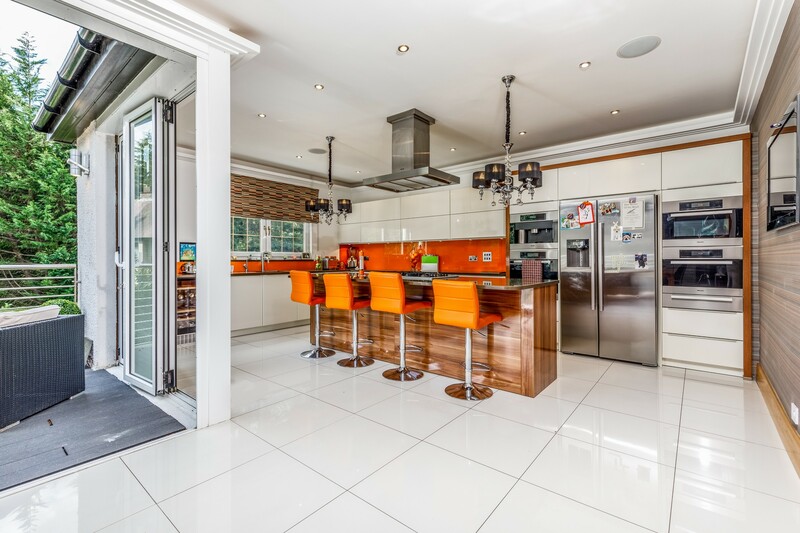 The kitchen has been refitted with a range of bespoke wall mounted and floor standing units with integrated appliances, contemporary worktops and island unit. 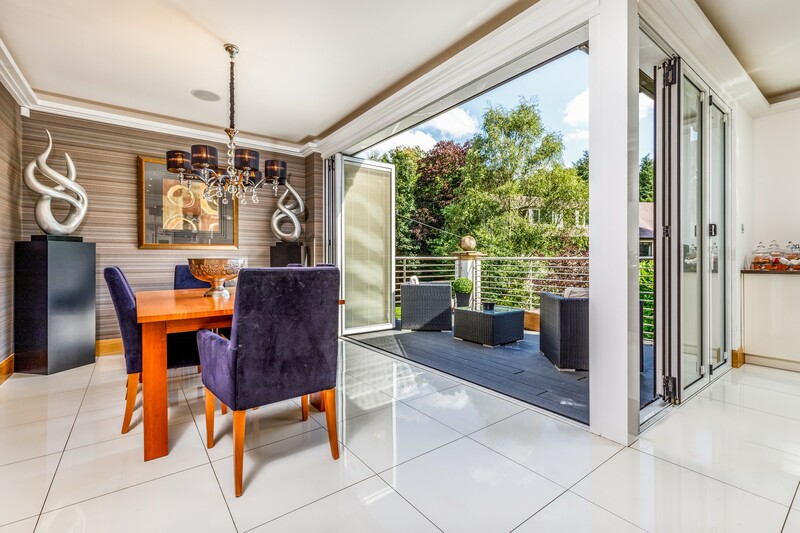 The kitchen and dining room benefit from bi-folding doors onto a decked terrace overlooking the rear gardens. 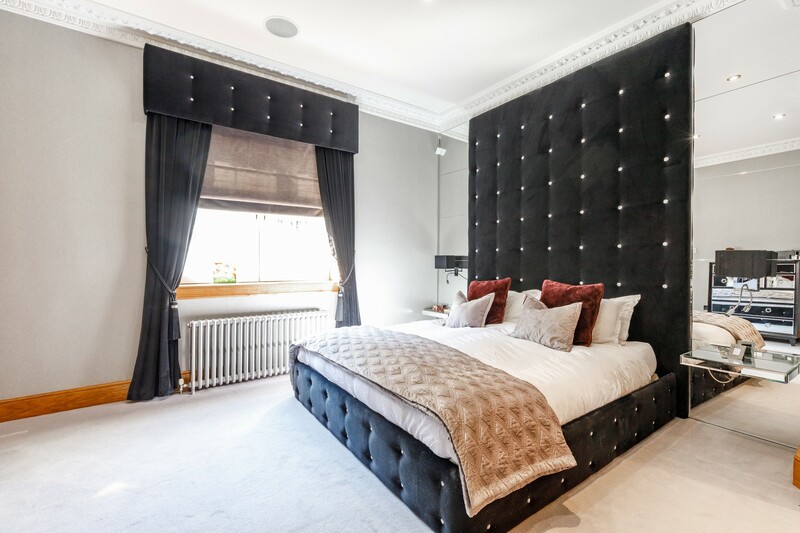 Generous master bedroom, with two separate dressing rooms and attractively refitted ensuite bathroom with walk in shower. Bedroom two. 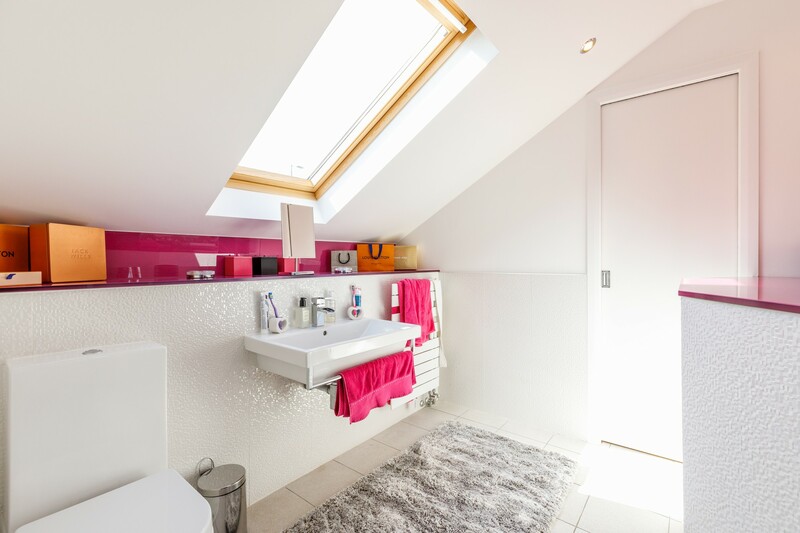 The house family bathroom completes the ground floor accommodation. 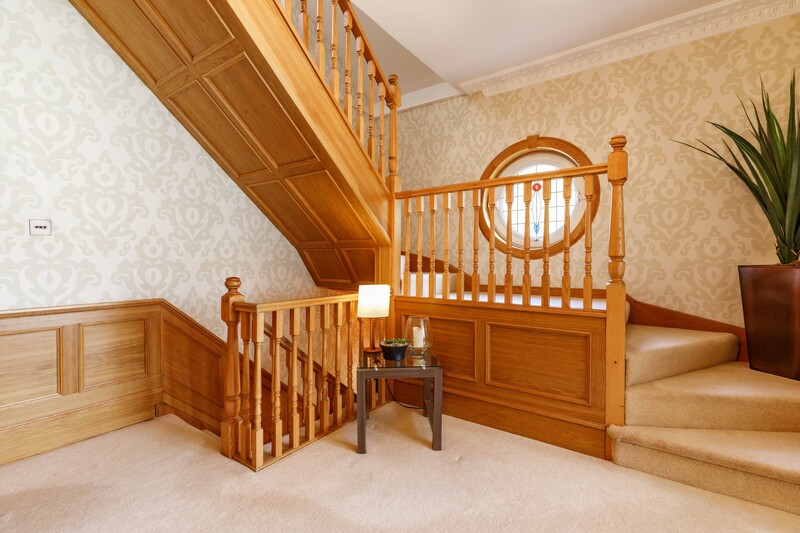 First Floor: Bright and spacious landing. 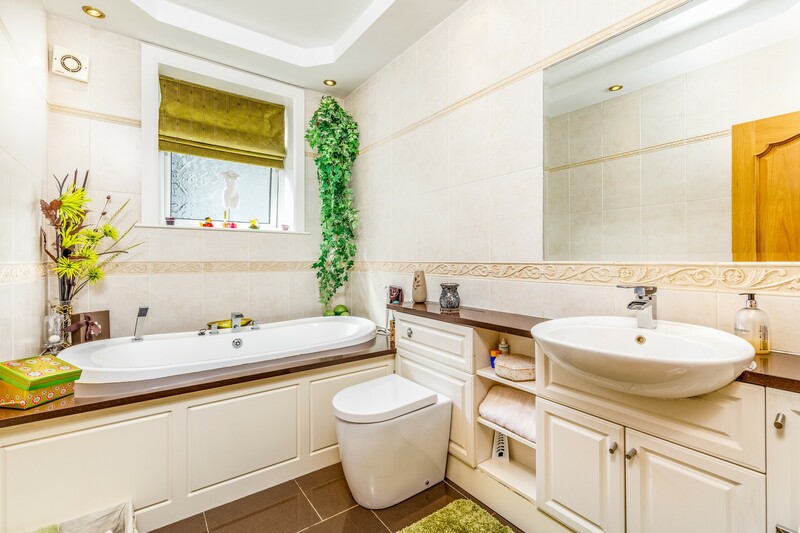 Two further double bedrooms and attractively refitted jack and jill ensuite shower room. Storage cupboard. 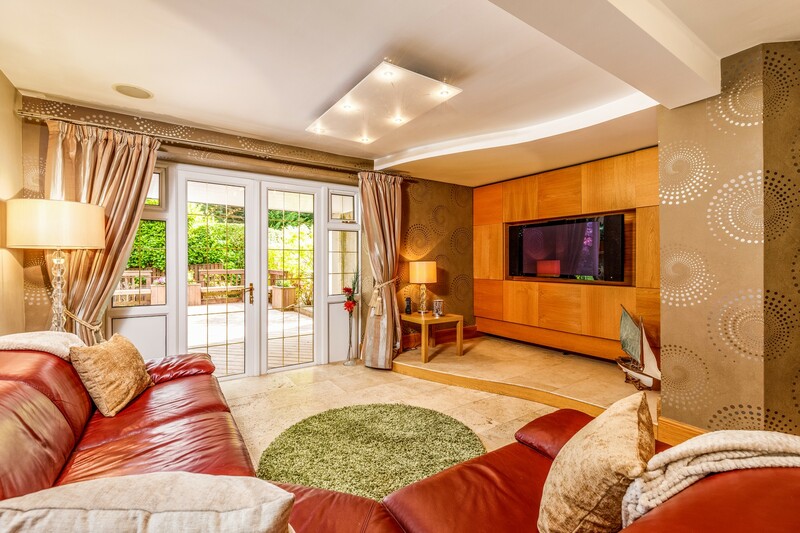 Lower Ground Floor: Generous family room, with access onto the rear garden grounds. Garden room opening to side garden and terrace. 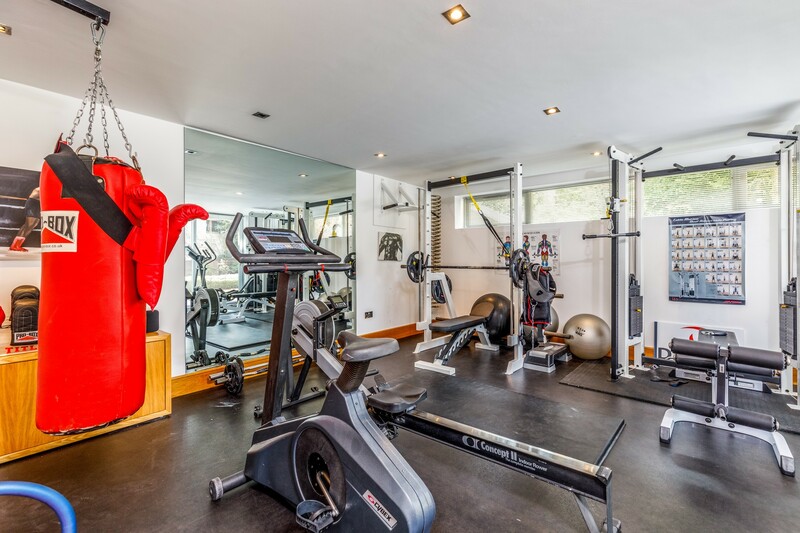 A studio/gym has been created with French doors providing access to gardens and terrace. 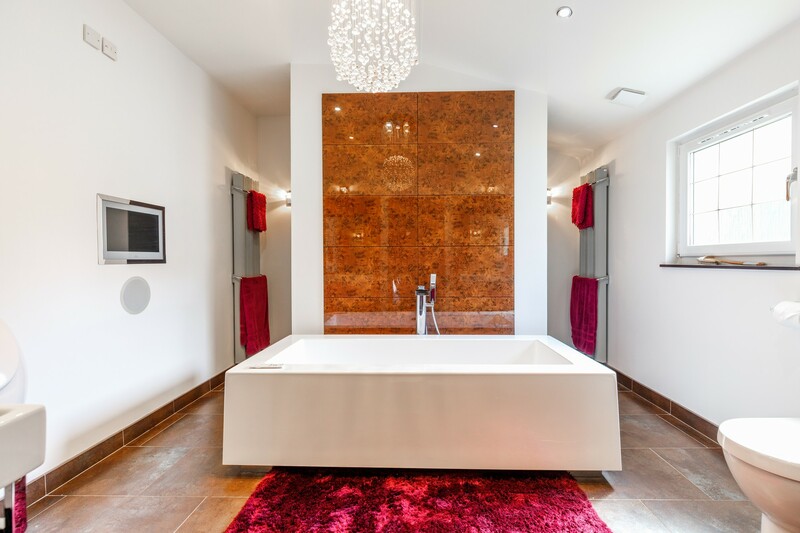 Spa area with steam room, shower enclosure and separate WC. Utility room. 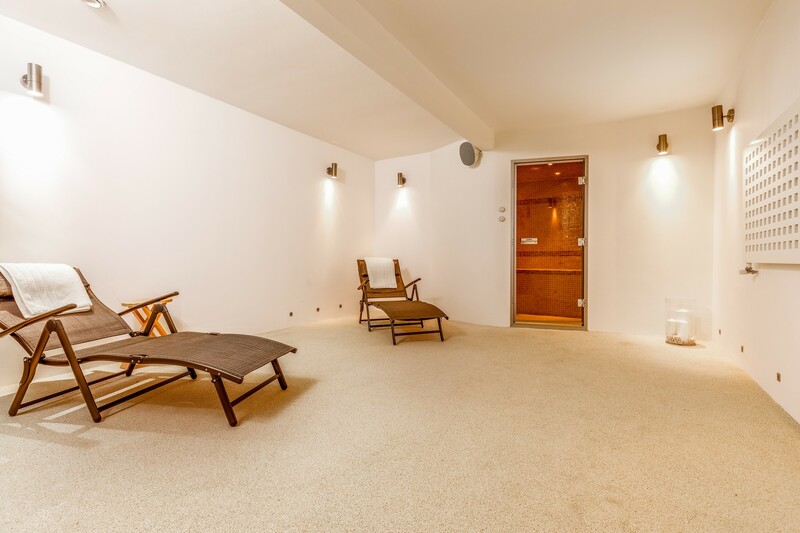 Good storage throughout the lower ground level. 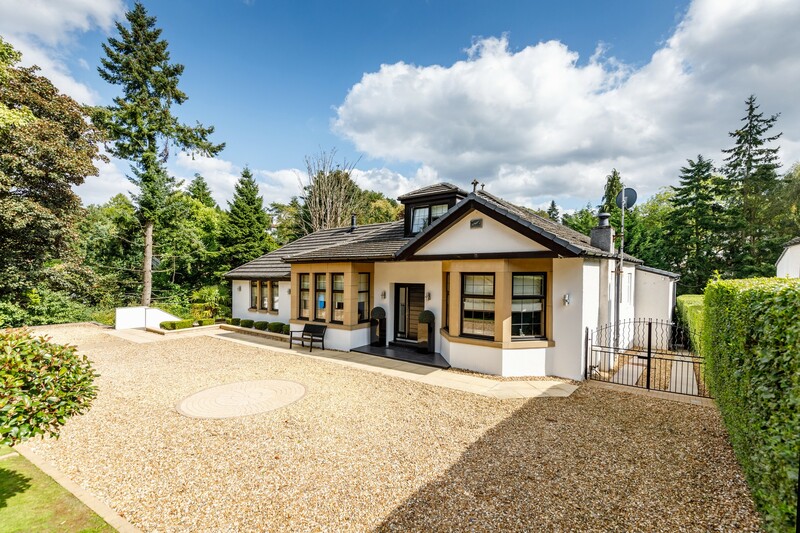 The property benefits from gas central heating, underfloor heating to Family/Garden room and en-suites, double glazing and is protected by a security alarm system and CCTV. 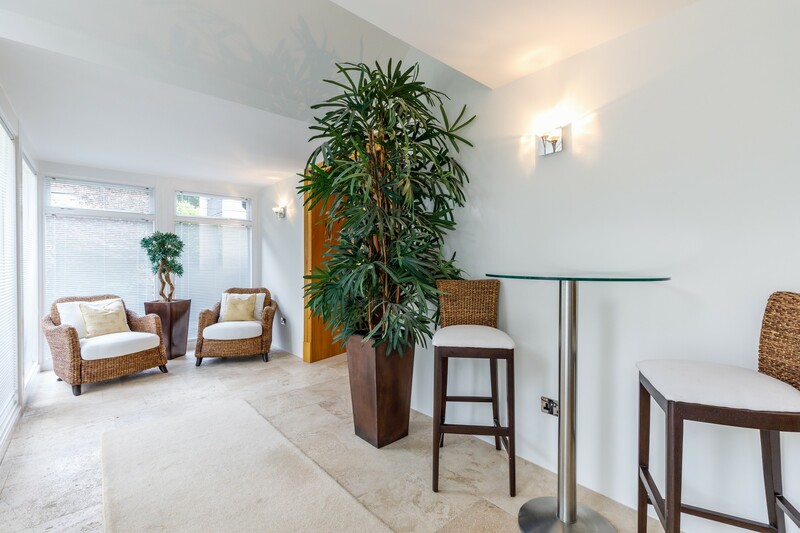 There is also a Sonos Sound System throughout all levels. 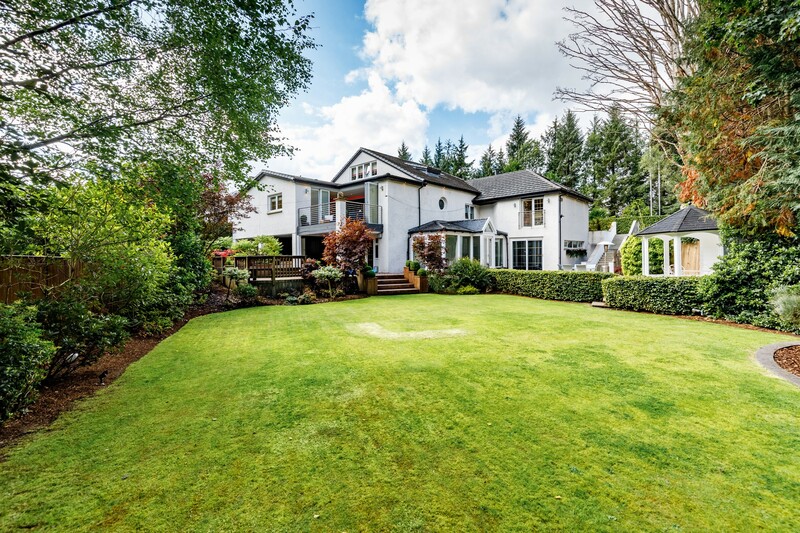 This home is set back from the Ayr Road and behind automatic security gates leading to a driveway with ample space for several cars. 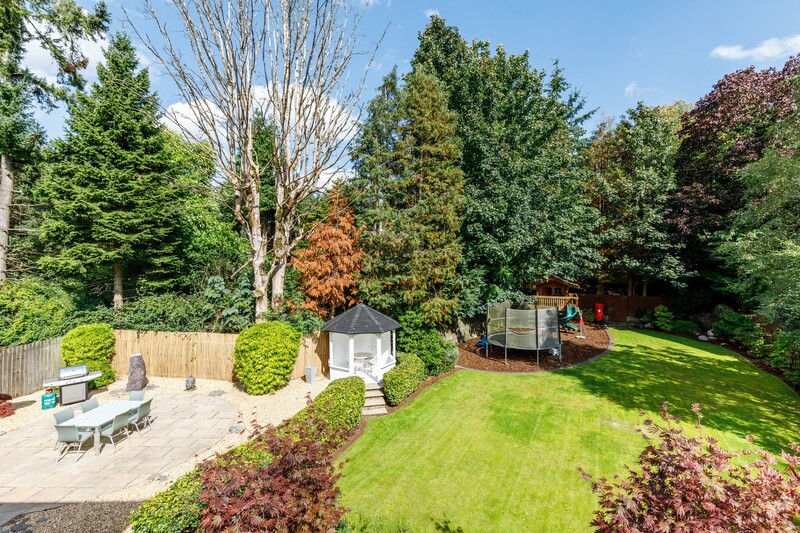 An outstanding feature of this lovely home are the landscaped garden grounds which are enclosed and provide privacy and seclusion. 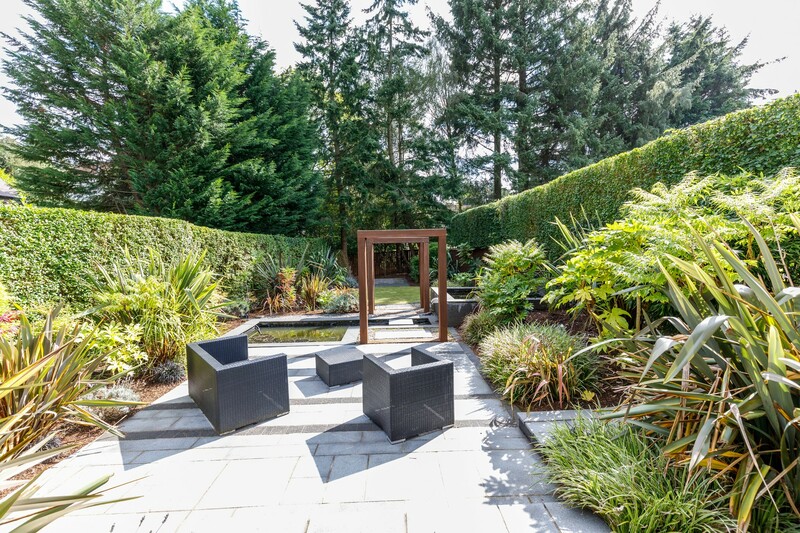 The gardens to the rear of the property are currently split into three separate sections including a Japanese style garden with an ornamental pond, pagoda and decking. 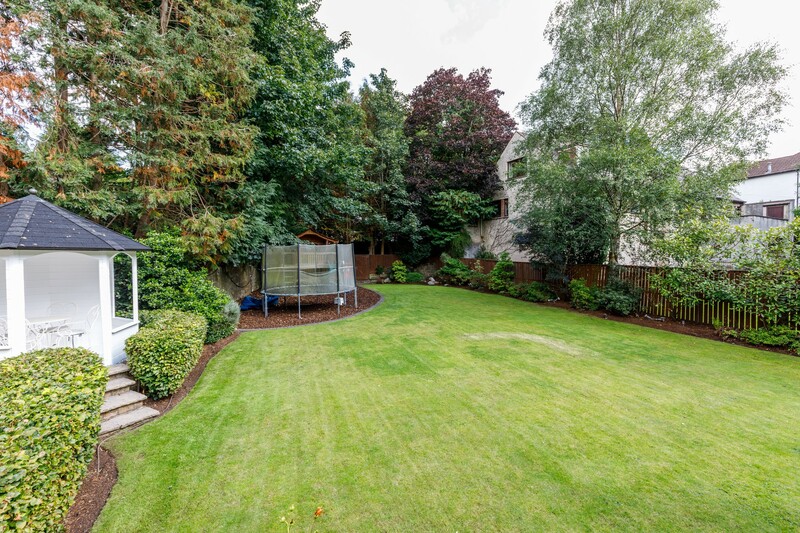 The gardens boast an expansive lawn to the rear, seasonally colourful with well stocked borders. 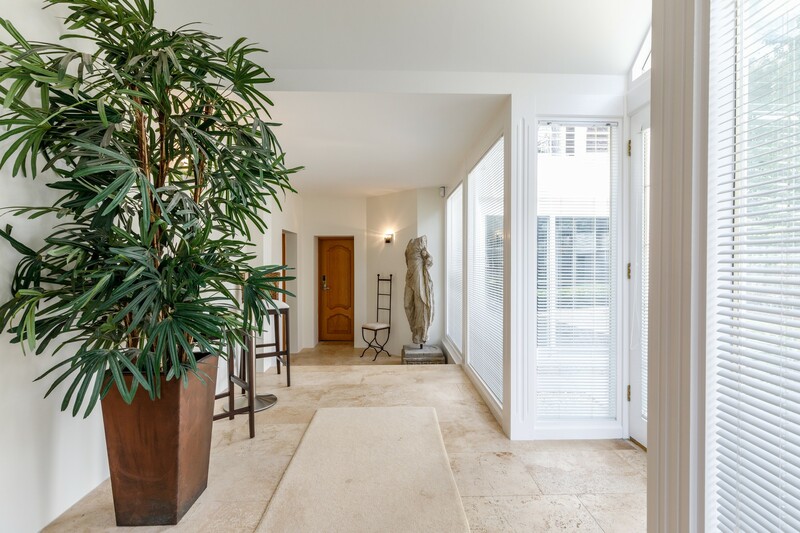 An extensive paved patio and covered terrace runs along the rear elevation of the house and is ideal for entertaining. 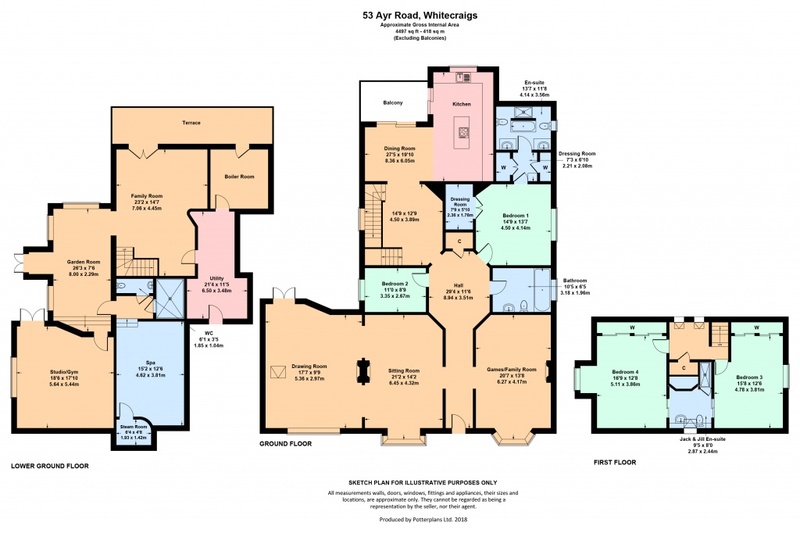 The property and plot itself still offer great potential for further future development, subject to the relevant consents. 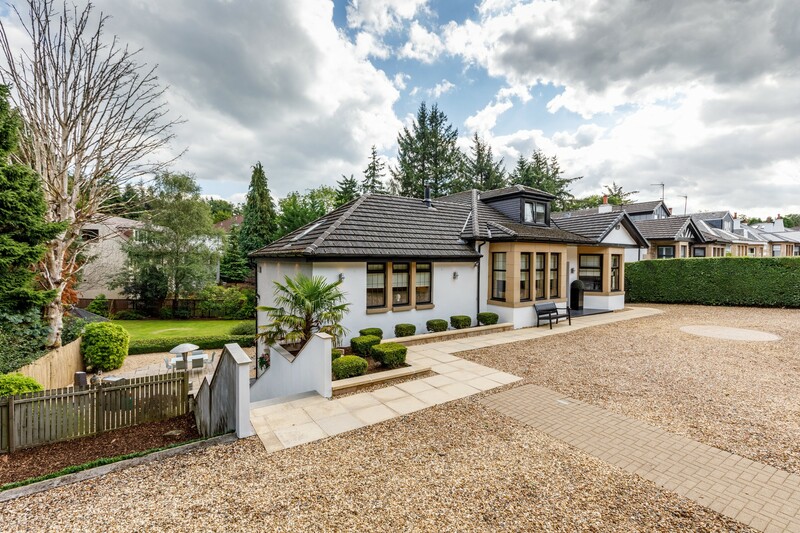 A highly distinctive traditional detached bungalow, set within generous garden grounds, located in one of Glasgow’s most coveted residential neighbourhoods. 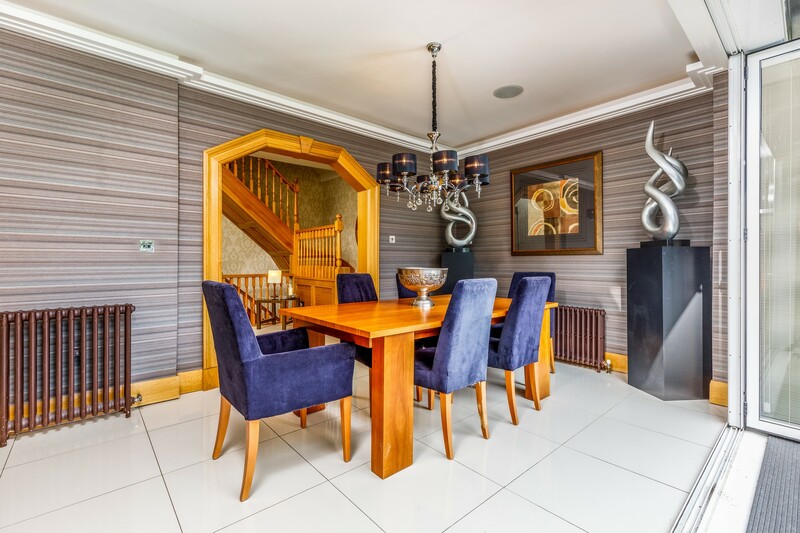 A hugely popular suburb, Whitecraigs is located approximately 9 miles South from Glasgow City Centre. Commuter routes are served by the M77, M8 and Glasgow Orbital motorways which also provide 30-minute journey times to both Glasgow and Prestwick international airports. There are regular train and bus services to Glasgow, East Kilbride and the Ayrshire coast. 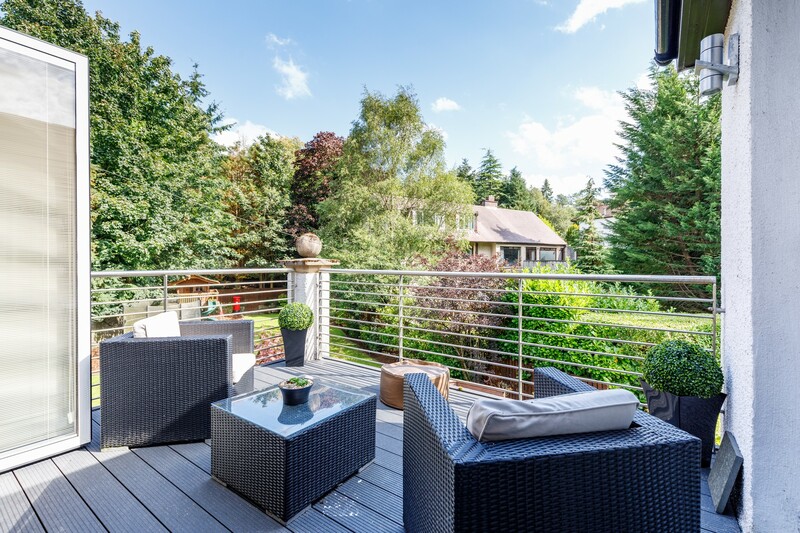 Whitecraigs and its neighbouring suburbs of Newton Mearns and Giffnock are recognised as providing amongst the highest standards of local amenities including healthcare centres, banks and libraries and a broad range of supermarkets, boutique shops and restaurants. Local sports and recreational facilities include David Lloyd Rouken Glen, Parklands Country Club, Cathcart and Whitecraigs Golf Clubs, Whitecraigs Tennis club, Rouken Glen Park, voted Best Park in the UK 2016, as well as East Renfrewshire Council's own excellent sports and leisure facilities at Eastwood Toll. 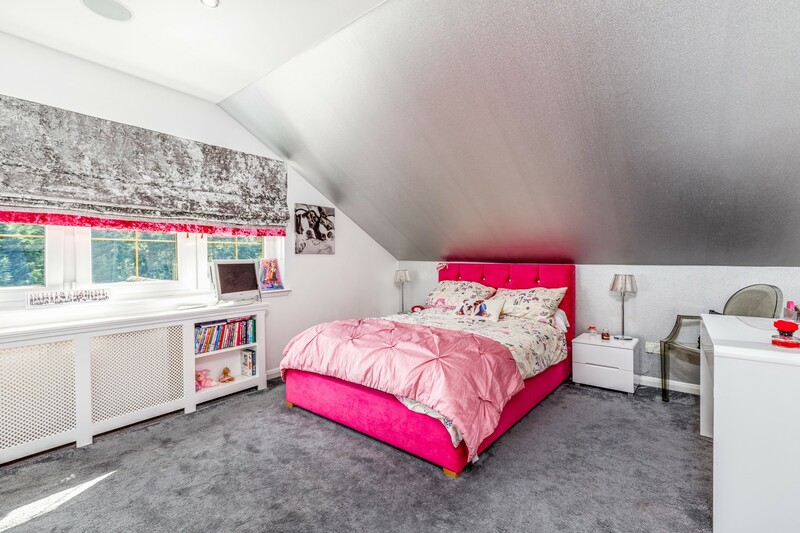 For those with young families, the property sits within the catchment area for some of Scotland's highest attaining primary and secondary schools, including Kirkhill Primary, St Clare’s and Calderwood Lodge Primary Schools, Mearns Castle and St. Ninian’s High Schools. 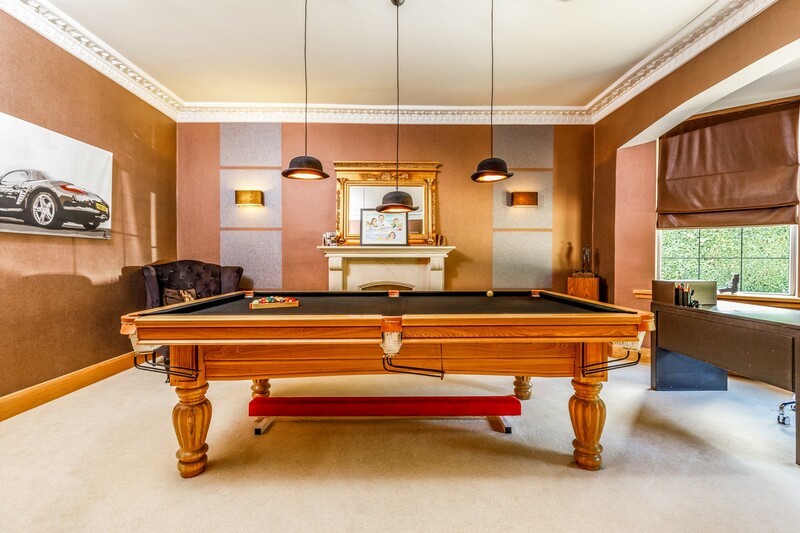 The property is within easy reach of the private Belmont House School and several school-run pick-up points for private schools in Glasgow.